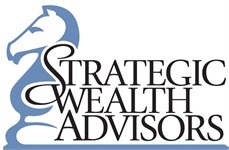 At Strategic Wealth, we are committed to excellence in everything we do. Our mission is to protect and increase our clients’ wealth so that they can achieve all their financial goals. Integrity is everything.At the core of everything we do is our integrity. We shall always put the client’s interest first. Results matter.Our clients hire us to help them achieve their goals. We aren’t satisfied unless we deliver great results that help our clients get to where they want to go. Provide exceptional service. We provide timely, accurate, and specific responses to client inquiries. Our clients will always receive clear communication about their investments. When our clients have questions or concerns about their investments, we focus on achieving a resolution as quickly as possible. Never stop learning.We have committed to a lifetime of learning. We strive to be the best by increasing our knowledge every day through continuous research and education in our field. Optimism breeds opportunity. Attitude is everything. We are living in the best time in history. The opportunities for today’s investor are abundant and we believe you can reach your goals with a proper plan and a focused strategy. We can’t wait to see what the future holds for you.